As part of recent project developing a platform for Cityswish, who deliver beauty services to your door, we created a tool to support the transaction process based around the metaphor of a conversation. This replaced the more traditional shopping basket approach. One of the unique aspects of the purchase process for a beauty treatment is that it is better supported by an environment that allows a conversation between the customer and the supplier. On our platform our goal was enabling a conversation between the customer, the therapist and an operations centre. With the incredible success of Whatsapp, Apple Messages and Facebook Messenger, chat apps are now ubiquitous, making the stream of alternate speech bubbles a familiar UI metaphor for millions of users. 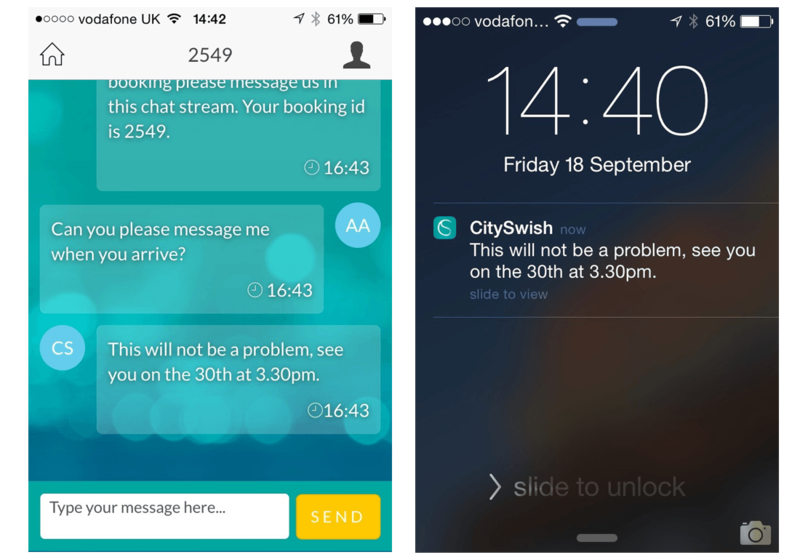 When using the Cityswish platform the messaging experience begins with the booking confirmation. This message is actually automated response from the platform followed by a response from the the integrated payment platform Stripe. From the point of view of the customer all responses appear to be from Cityswish as an organisation. 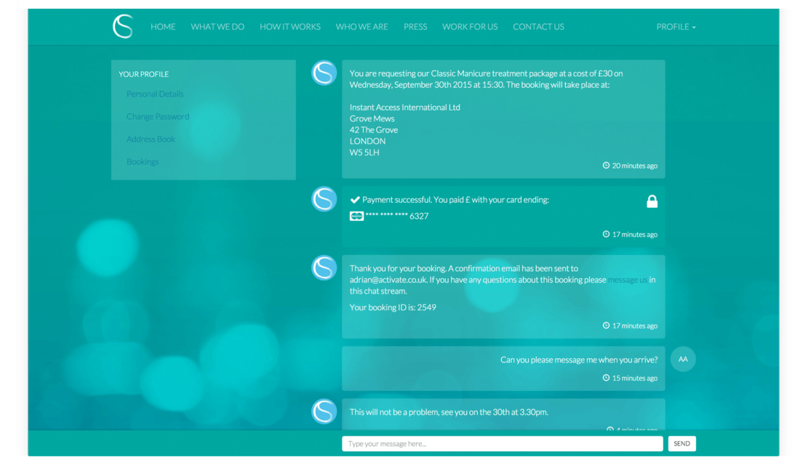 An example of conversation between the user and the op centre on the responsive web site. The customer can then interact with Cityswish by typing a message in a familiar interface in either the responsive website or the iOS app which is also supported by push notifications. The same conversation displayed on the iOS app. 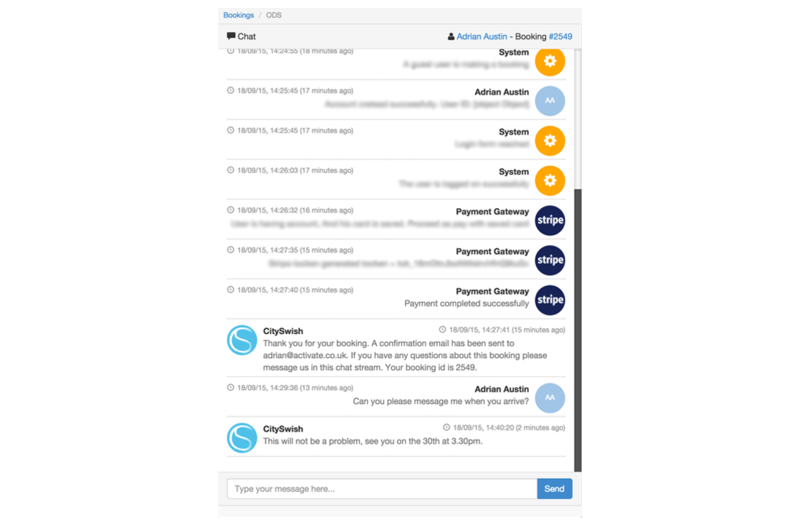 A Cityswish team member then has access to a list of all active chats with customers through a control panel in the online operations centre. In the operations centre the team member can reply to all customers and view which messages were generated by the customer, the platform or by the payment platform. Op Centre control panel offers a detailed view of all interactions with the customer. With CitySwish we have contributed to making a better beauty marketplace through the use of conversations. A digital agency based in London, helping businesses with their strategy, design & development challenges.